Does your dental practice use patient milestones to build rapport and loyalty? As a dental consultant, I’ve worked with hundreds of dentists who struggled to retain patients and get referrals. What’s my secret trick that they don’t want you to know about? I jest only because it’s a relatively simple strategy with one of the best ROIs you’ll see from your dental marketing budget. At its premise, it couldn’t be easier: pay attention. Look back at your own life and consider professionals you’ve interacted with. Which ones have made a memorable impact? Now reverse the question: are there any of your patients who find it memorable to be a patron of your dental practice? Why or why not? Back when I still worked on the clinical side, we had a patient mention that she was going on a cruise to celebrate her 25th wedding anniversary. I noted the details, and it was a simple matter to contact the cruise line and arrange to have a gift basket from our practice waiting in their room. They then proceeded to tell everyone they knew about it, and were cemented as our patient for life. And all it took was paying attention (and a tiny investment for a personalized gift). 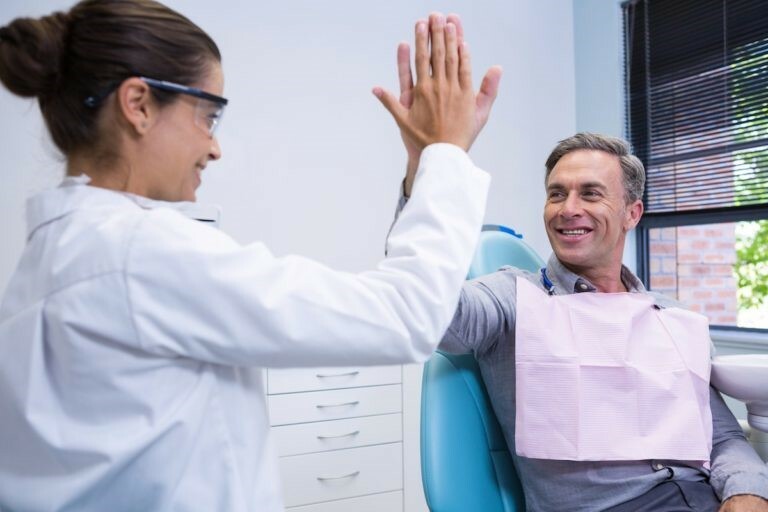 By paying attention, we can recognize the milestones in our patients’ lives, both in their personal lives and in their relationship to the dental practice. What are some milestones you can recognize, and how should you go about it? Being a new patient. I recommend that the doctor place the patient’s first reminder call personally and follow up after a patient’s first treatment. It’s good form to send a thank you card, perhaps with some branded swag (such as refrigerator magnets). Being a long-term patient. Milestones might include the five-, 10-, or 20-year marks. The number is irrelevant so long as you make your patients feel important and appreciated for sticking with you. By getting to know your patient over the years, you should be able to come up with a personalized gift. It need not be extravagant, just memorable. Important dates. Every patient has a birthday, and most will have other dates (such as anniversaries) that are important to them. You already have the basic information, and by paying attention you can learn about the important days in your patients’ lives. Life events. Did your patient just have a baby, get married, or graduate from college? For special occasions like these, a “congratulations!” is in order. They’ll learn that you’re not just their dentist, but also their friend and that you care about them. Even a brief encounter with a patient can yield important information. This not only helps you recognize patient milestones, but helps with treatment and case acceptance as well. Patients interact with multiple team members during their visit. If the whole team is engaged in positive interactions with patients, then someone is bound to learn something important. All you need to do is document what is learned and follow up on patient milestones to create a great experience for your patients, every time.